Last, took place on Thu, 19 Dec . Dates for upcoming sessions will be announced shortly. This 3 day Konkan trip is designed keeping in mind the mental solace and the time that we need with ourselves. The slow paced and relaxed itinerary will give you ample time to soak in the place as well as go for scuba diving, bike exploration and see for yourself how rural fishermen lead their lives up close. We all have adored the tiny, colorful fishes and have been amazed to see the colorful under sea corals on National geographic. On this trip you will live your dream of swimming with these fishes, be a part of their family and the colorful world of corals under the sea. 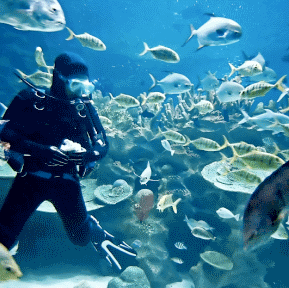 Diving under the water with the scuba diving gear will give you feel of a marine biologist working for nat geo. The stay will beone with the rural settingand close to sea and , where you can stroll on the beach or just listen to the music of the birds and sip a drink by the beach. Proceed to Malvan by non AC Luxury Bus from Mumbai in the evening. Check in resort/Home stay in Tarkarli early in the morning. First half day activity of Fishing in the Deep sea with a fisherman. Deep deep offshore .....where no land is seen..
We have requested Out of Coverage Area to get in touch with you. Alternatively you can speak to Tushar from Out of Coverage Area at: +91-9967554613 , in case you would like an immediate response. You will now stay updated about, Otiose in Konkan.